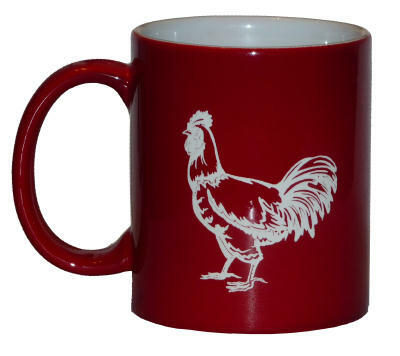 No Kitchen is complete without a Rooster on a mug! hot drink mug. Laser engraving will not wash off - it's there forever.